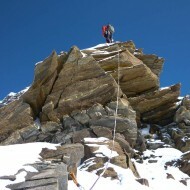 Cresta Sella is the south ridge of Lyskamm and a very beautiful and enjoyable climb. 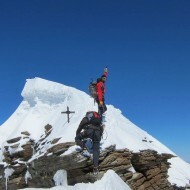 After about 2h approach from Gniffetti or Mantova hut we reach Naso del Lyskamm from where the actual ridge climb. 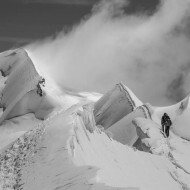 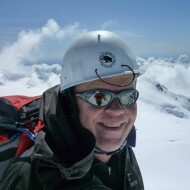 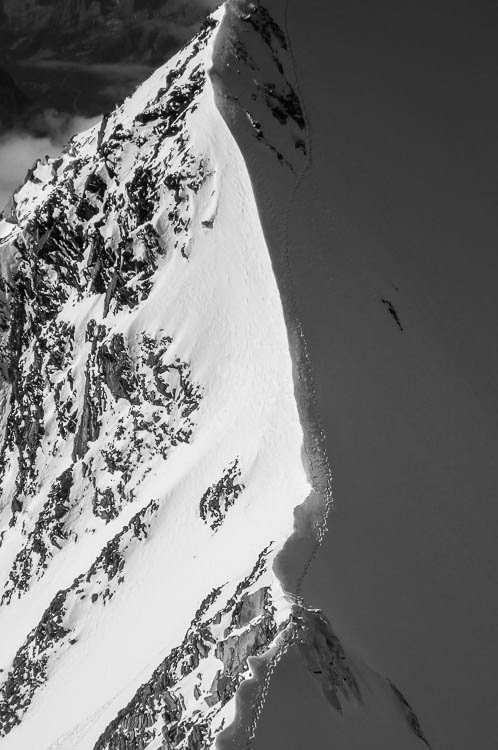 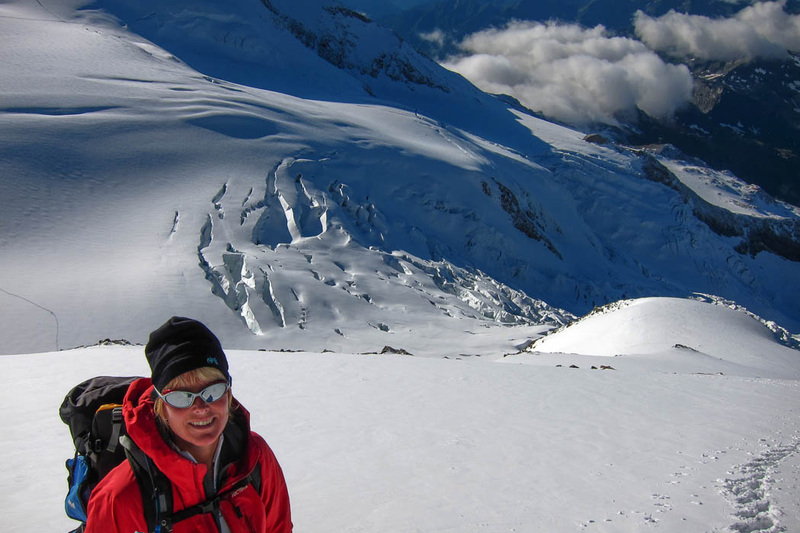 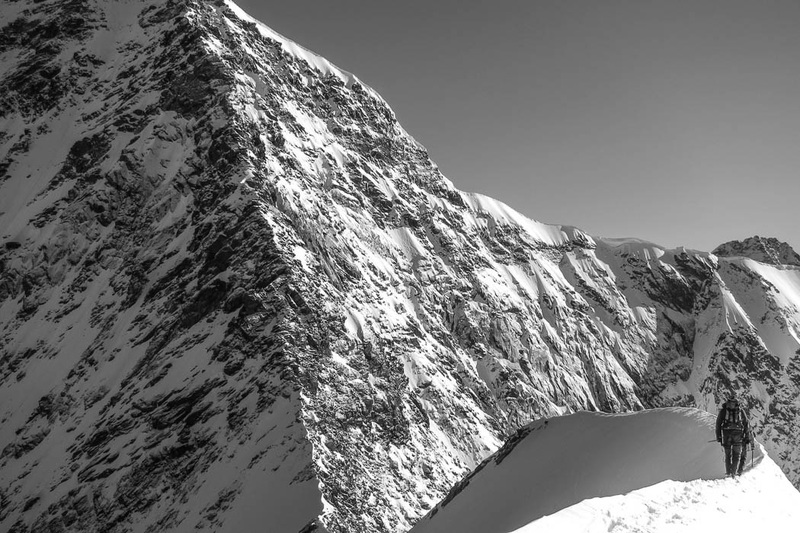 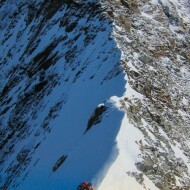 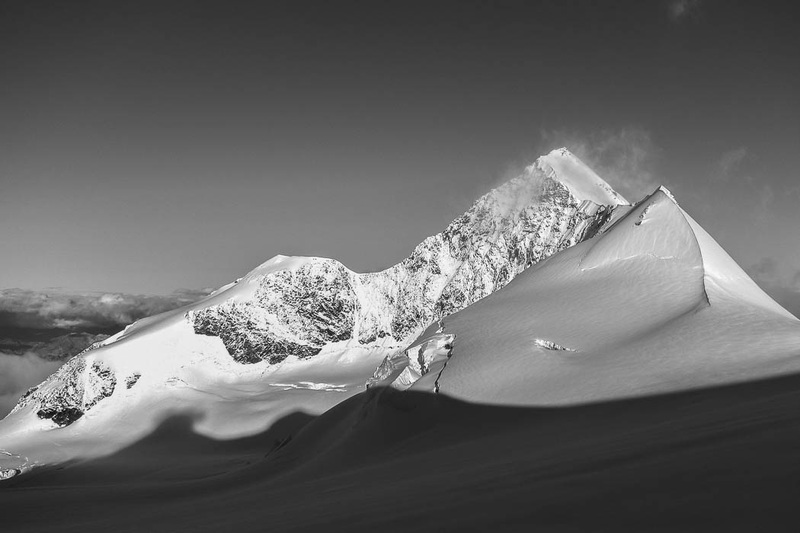 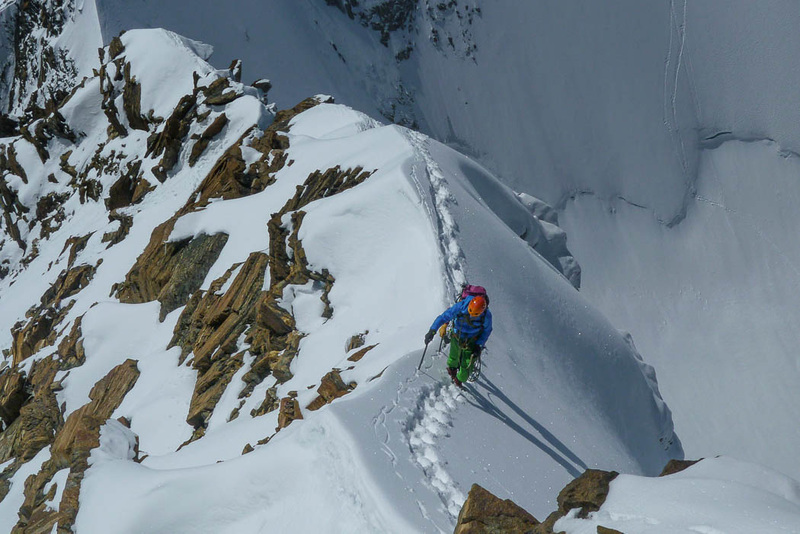 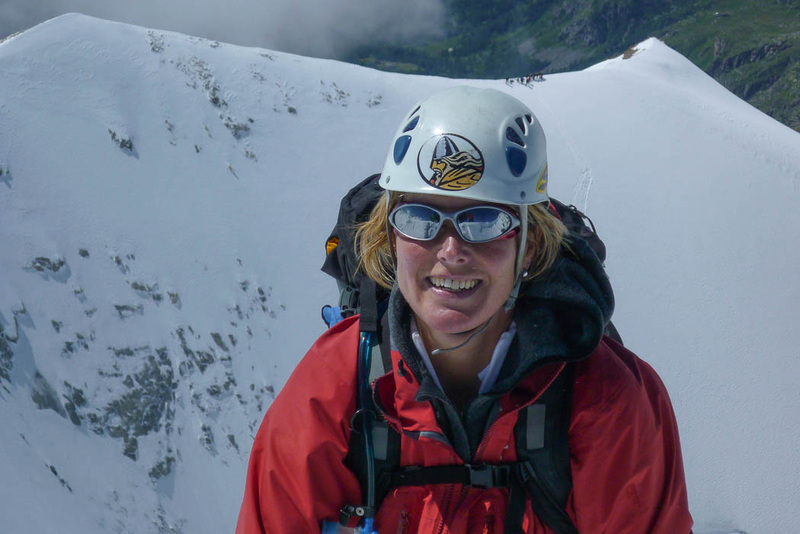 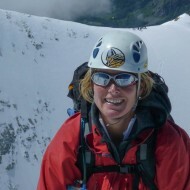 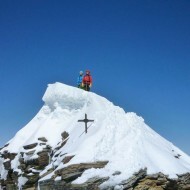 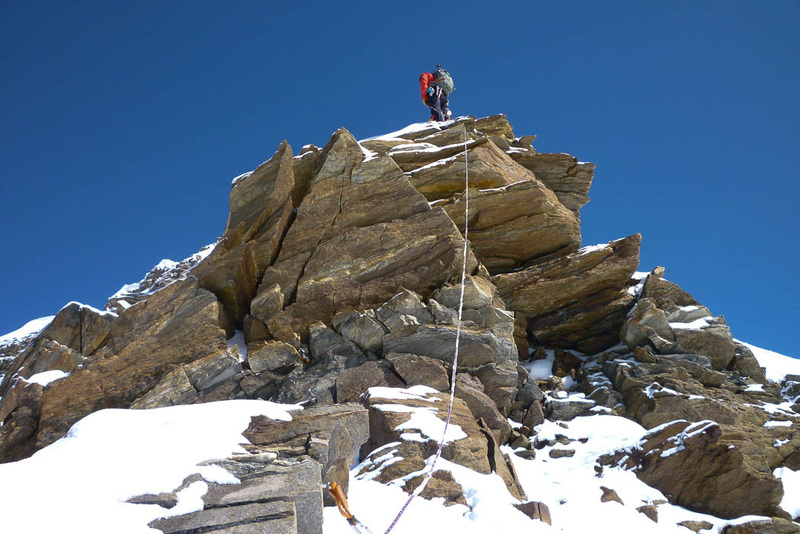 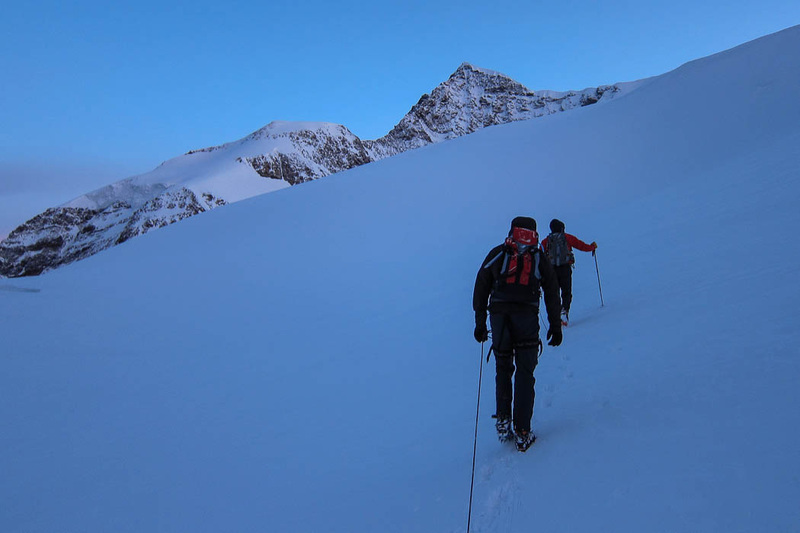 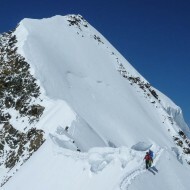 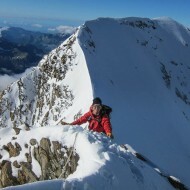 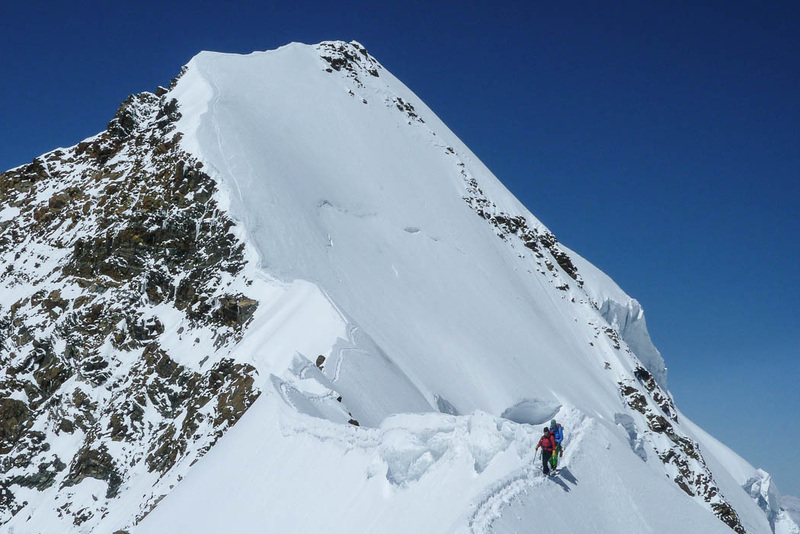 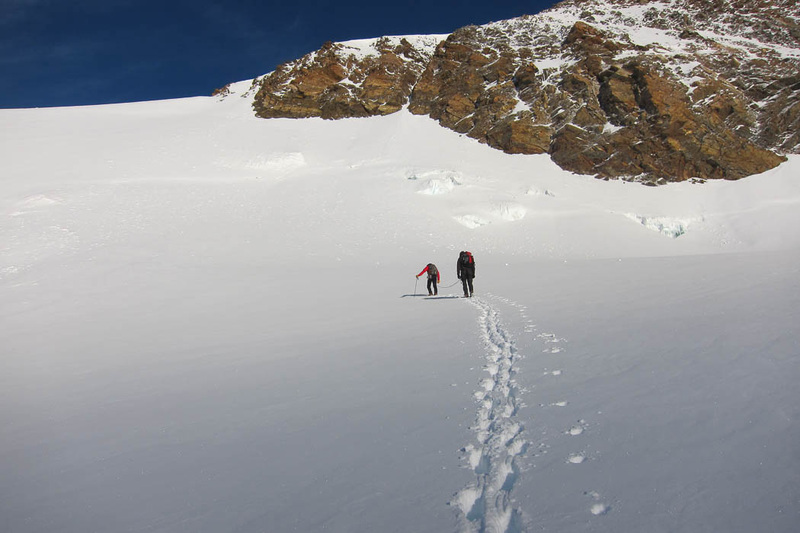 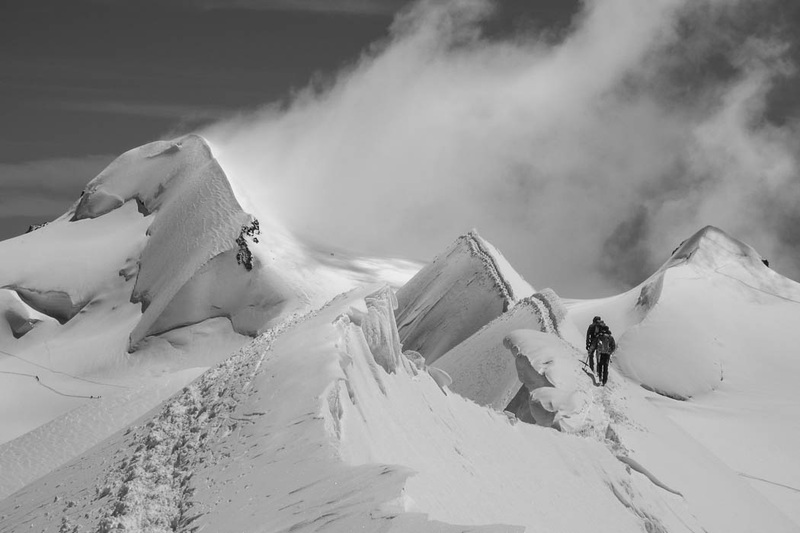 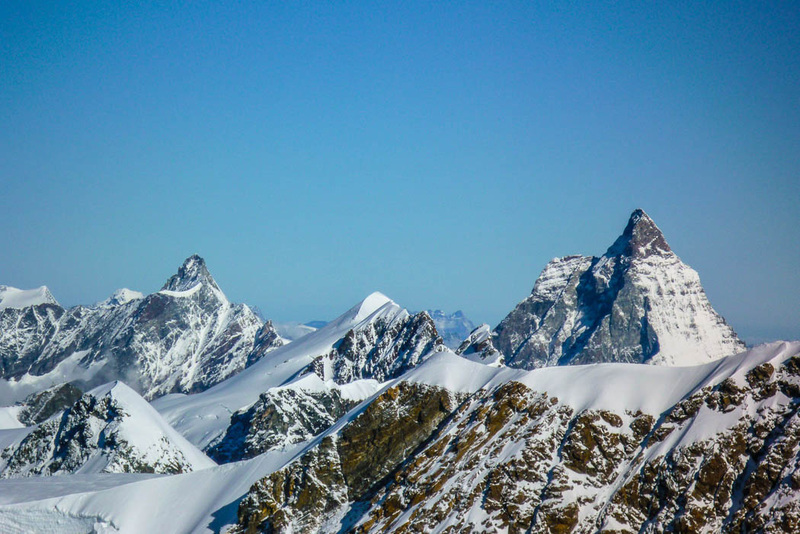 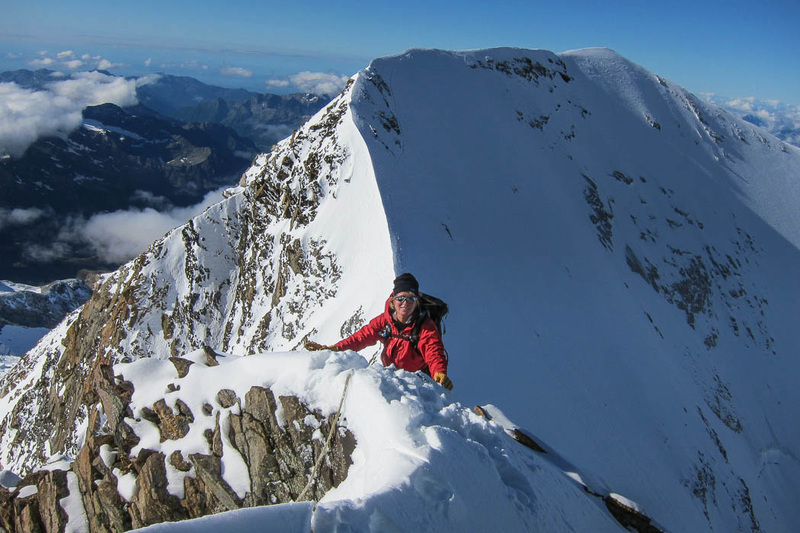 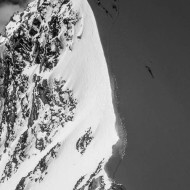 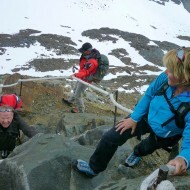 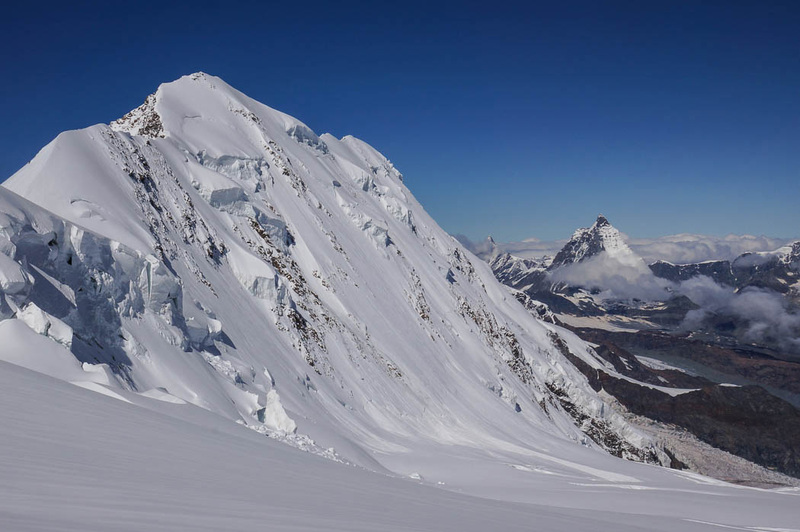 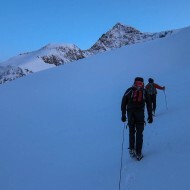 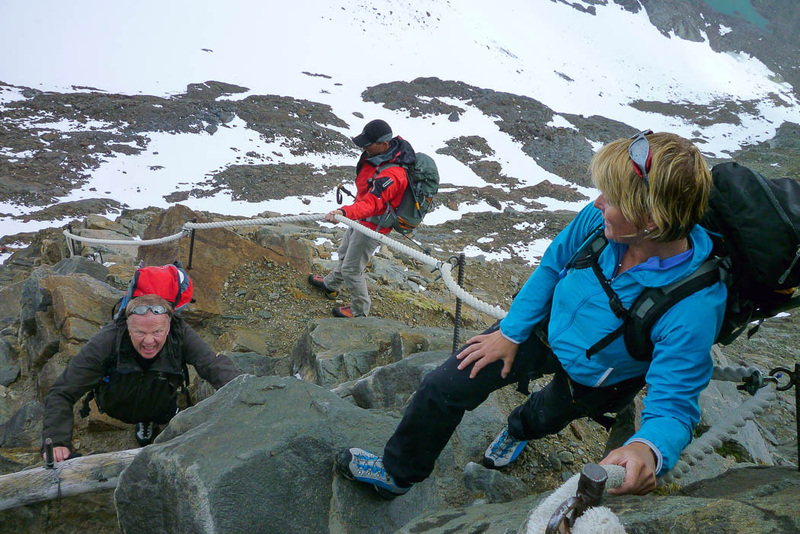 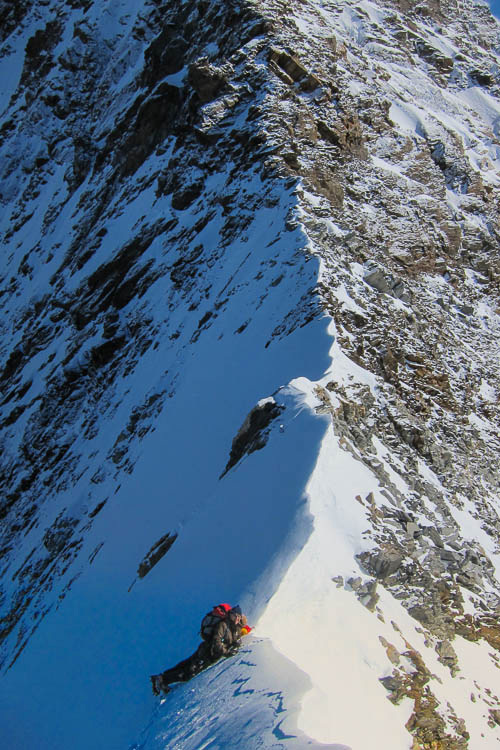 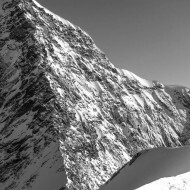 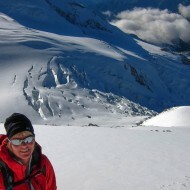 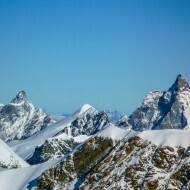 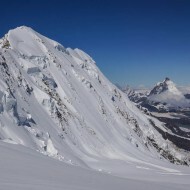 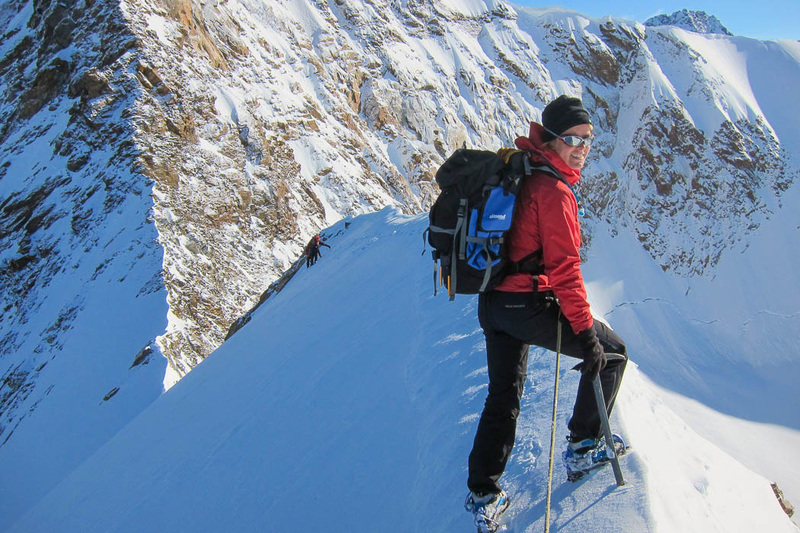 At first a knife sharp snow ridge, then a mix of snow and rocky terrain offers variable climbing. 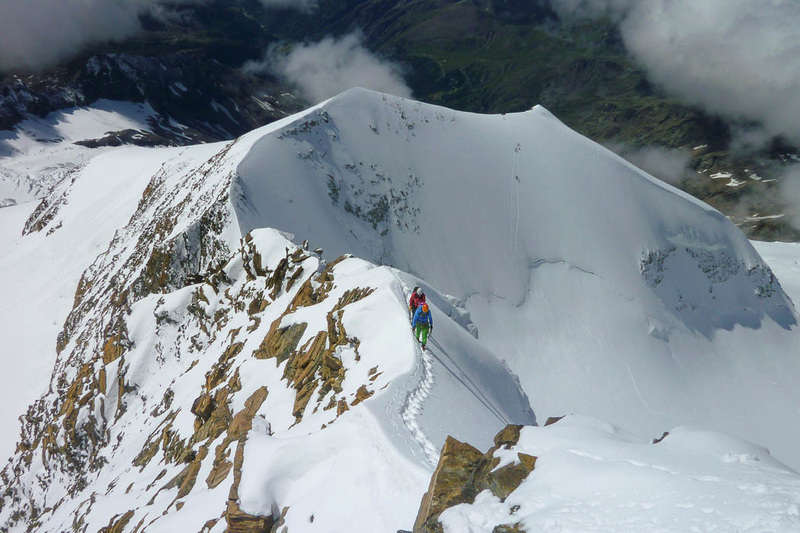 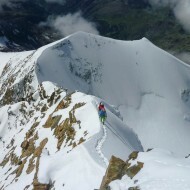 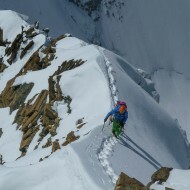 After reaching the summit, the normal route down the east ridge of Lyskamm descends to Col de Lys. 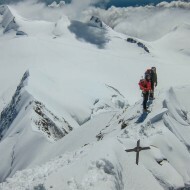 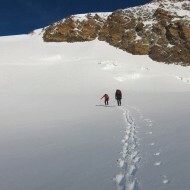 Being a round trip with constantly changing views and terrain makes it a great mountaineering route. 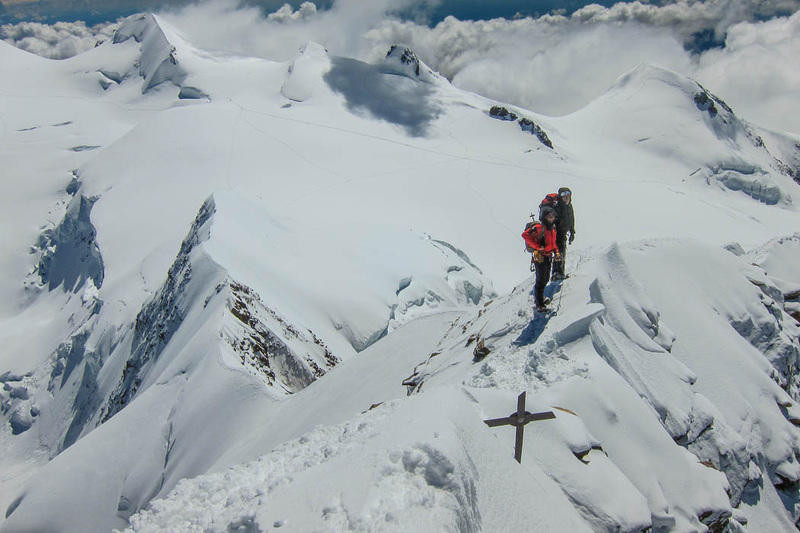 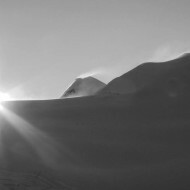 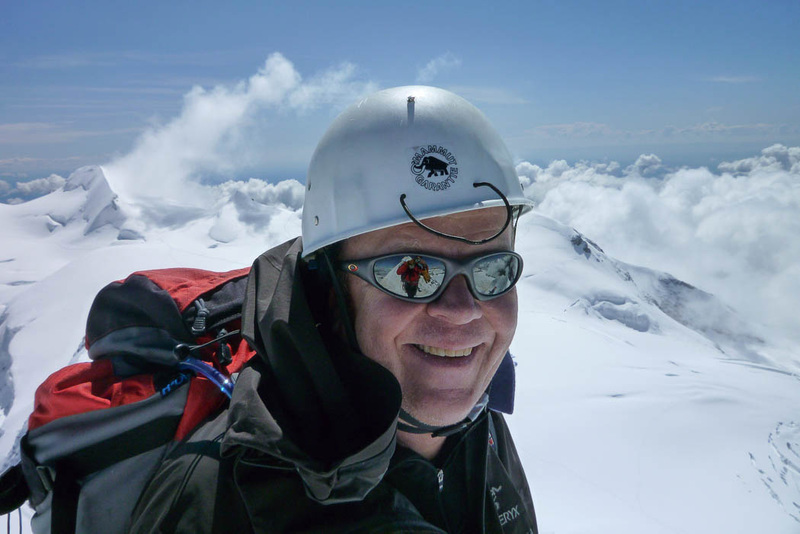 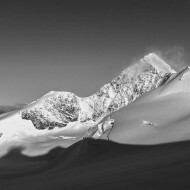 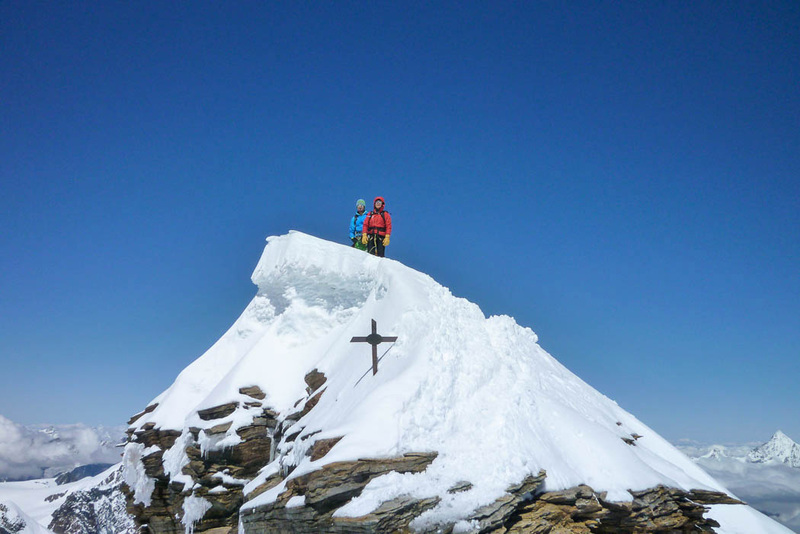 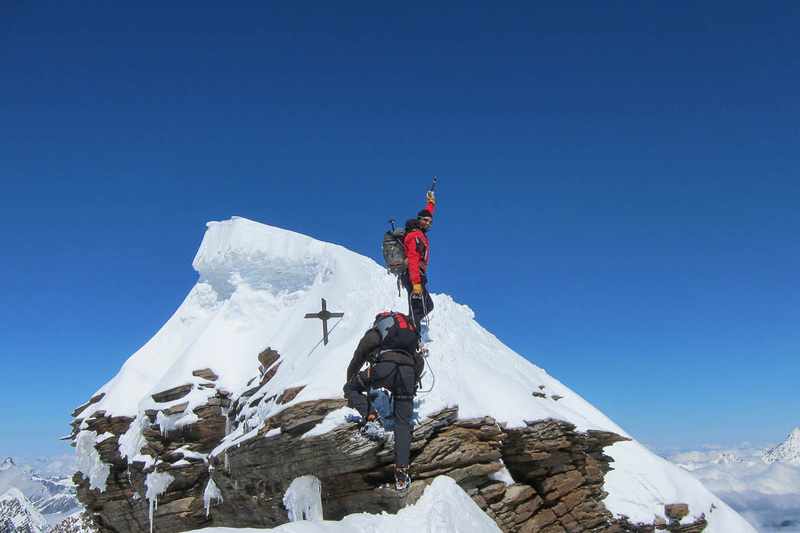 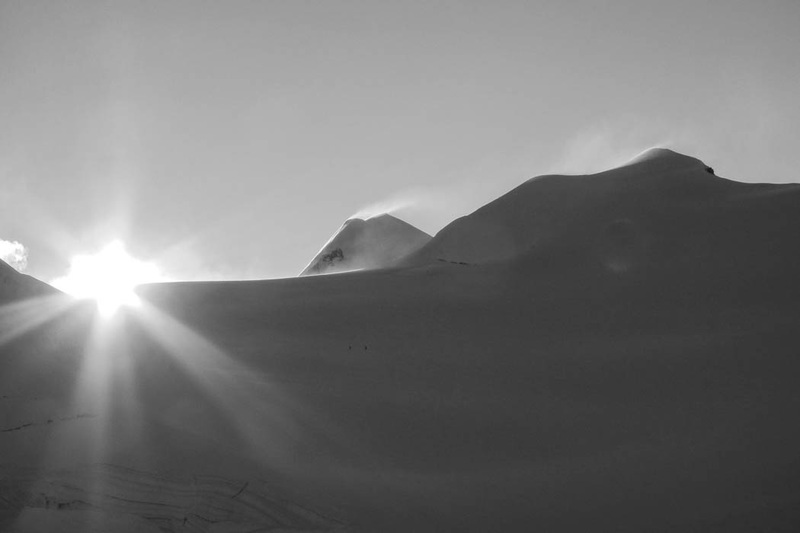 Locations: Monte Rosa and Swiss Valais.